Jhalak Dikhla Jaa 6 Promo: Madhuri Dixit, Karan Johar & Remo D’souza! Here’s the promo of Jhalak Dikhla Jaa’s brand new season which will be judged once again by Madhuri Dixit, Karan Johar and Remo D’souza. Madhuri looks gorgeous in the promo while doing ‘Cha Cha Cha’, have a look! Also check out the making of Jhalak Dikhla Jaa 6 promo. Jhalak Dikhla Jaa 6: Madhuri, Karan and Remo to judge again! 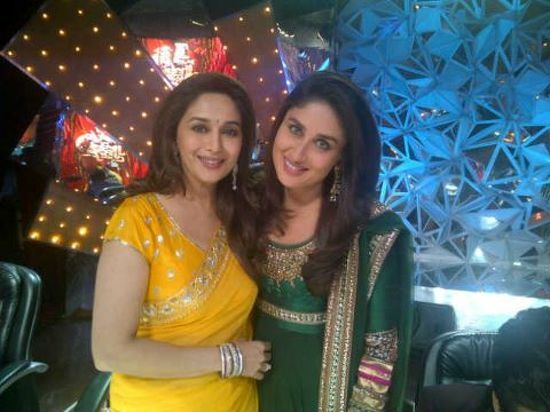 Kareena Kapoor with Madhuri Dixit on Jhalak Dikhla Jaa!